The cold weather wader spectacular on the local patch got better this morning with the arrival of 2 Knot, joining the 5 Grey Plover which had remained overnight. 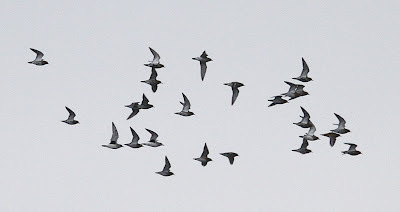 The Grey Plover commute between No1 Pit where they roost etc and fields just upstream to feed. 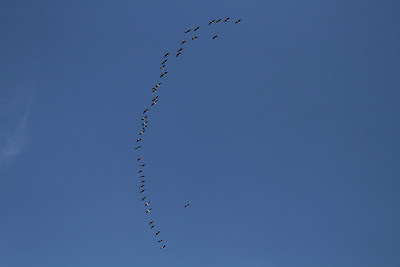 One Knot went wth them, but I could't relocate it in the fields. 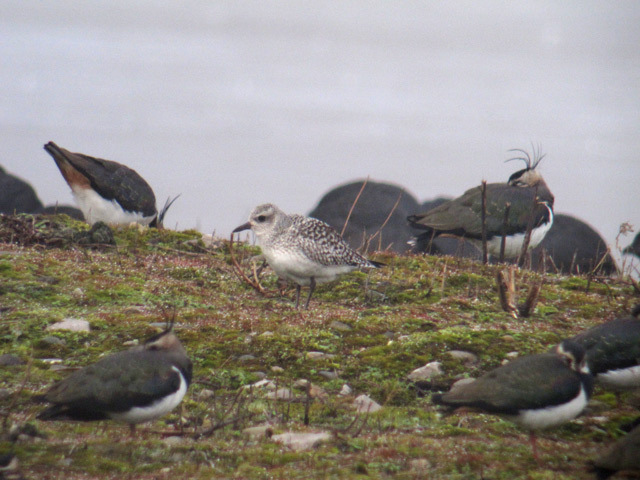 I never expected to see Grey Plovers field-feeding locally! 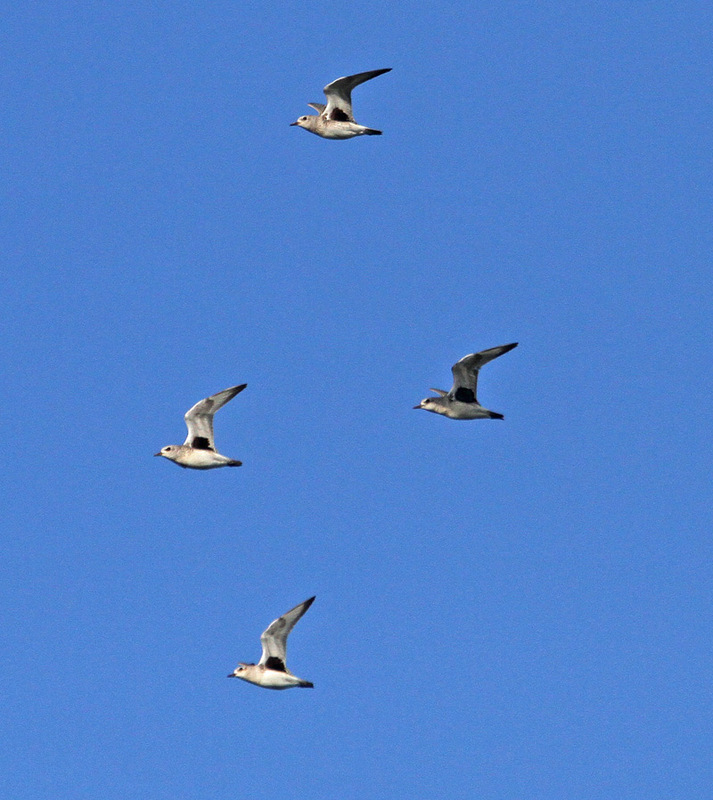 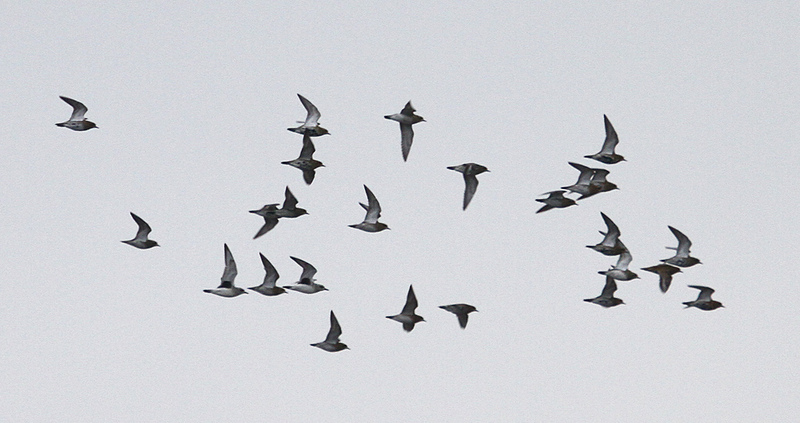 Above: 5 Grey Plover & 1 Knot head over the 'Family Hide' viewpoint en route to feed in fields just NE of the site. 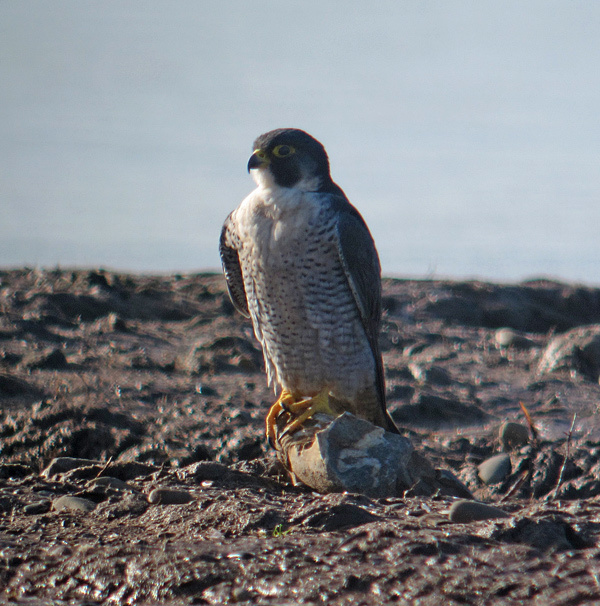 Above: A fine adm Peregrine landed on the newly re-profiled island just out from the Visitor Village late morning. 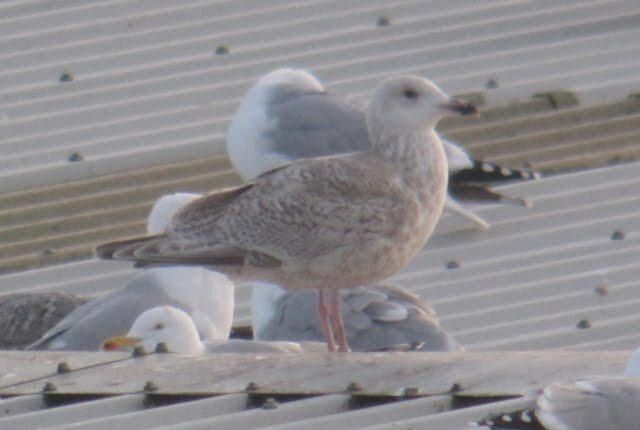 I always get a buzz from clinching colour ring details and today Pete Bainbridge and I clinched a colour-ringed Black-headed Gull each. 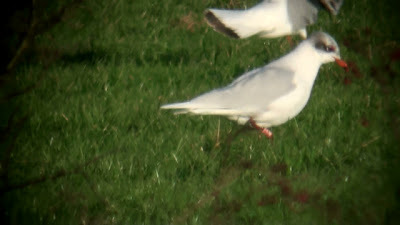 Above: 'My bird' - Black-headed Gull 270G was colour-ringed as a pullus on Lough Mask, Co. Mayo on 13/06/09 and is the first re-sighting since that date. 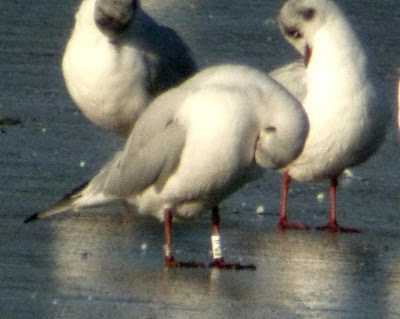 It was colour-ringed as part of a project on both Common and Black-headed Gulls and is only the 2nd individual that has so far been re-recorded in England (Black-headed Gull 252B was recorded near Falmouth in Cornwall on 05/01/10 and 03/01/12). 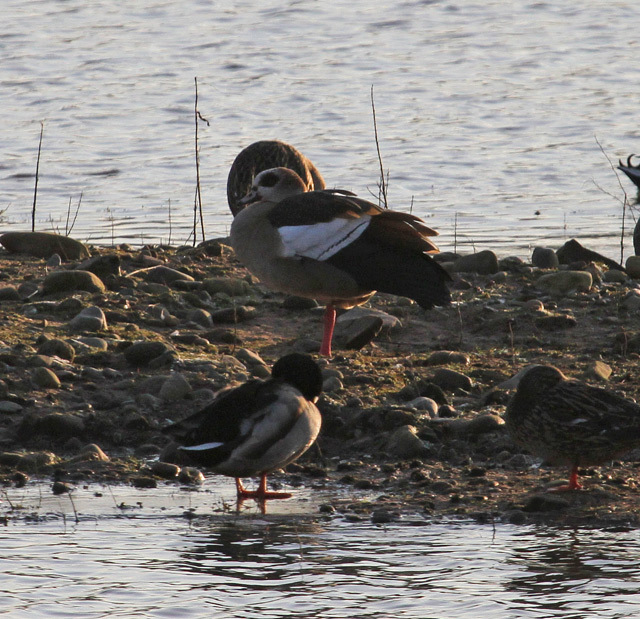 02/07/2012 Brockholes Nature Reserve, Nr Preston, Lancashire, GB 5346.00 N 2.35 W color ring read (Peter Bainbridge). 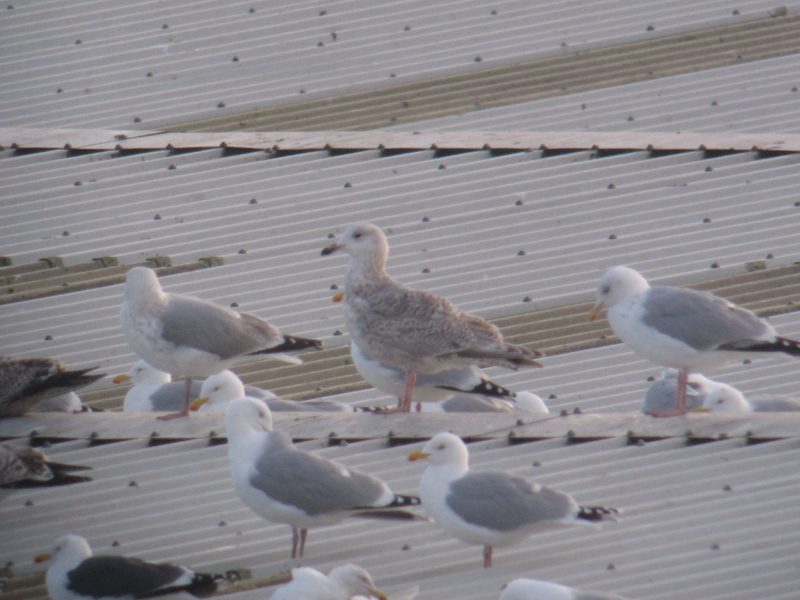 No species of interest could be found in the Fishmoor Gull roost, although I was delighted to clinch the ring details of a Common Gull (Left: white darvic X16K. 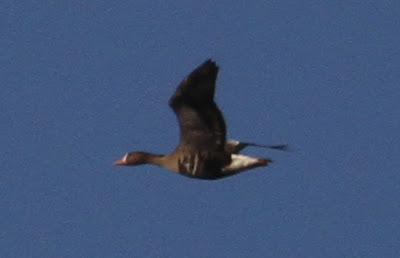 Right: Metal), thought to be German, but I am awaiting confirmation of this. 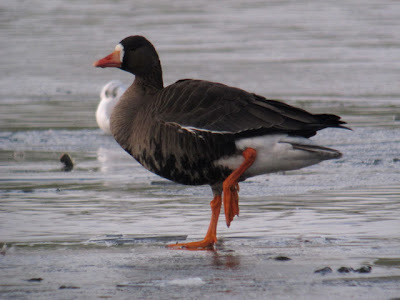 Local birding: Greenland White-fronted Goose - Rishton Reservoir, Lancs - 4th Feb 2012. 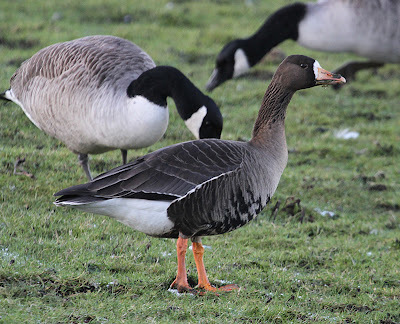 The sole remaining, long-staying adult Greenland White-front, present in the area since 1st Dec 2011, showed well for a time just off the promenade as all birds were confined to a strip of unfrozen water on the eastern side. 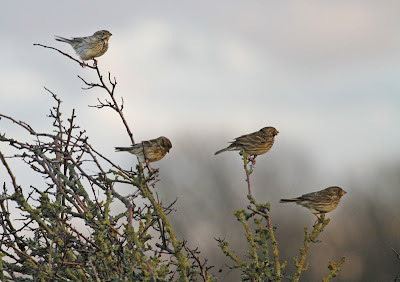 But as with Steven Grimshaws observations the day before, it is becoming very restless and may not be with us much longer? During my time onsite, the bird initially looked settled but then began to fly around doing circuits of the site, calling frequently, and was last seen heading east alone, lost to view behind trees and did not return in the fifteen minutes I remained onsite. 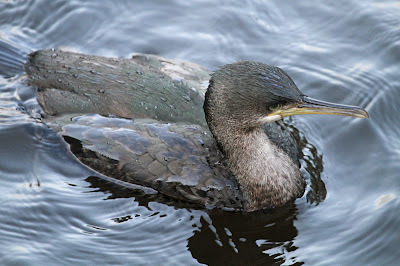 Local birding, East Lancs: Shag, Jumbles Reservoir - 22nd Jan 2012. 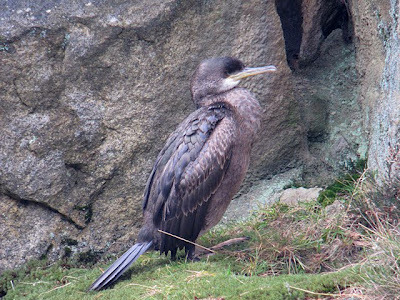 News emerged mid-afternoon of a Shag at Jumbles Reservoir on the Lancs/Gtr. 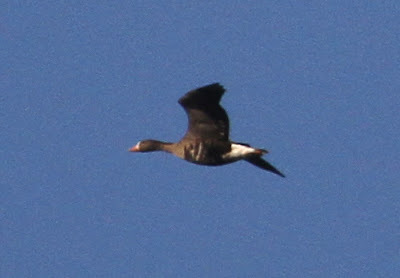 Manchester boundary, apparently present for several days. 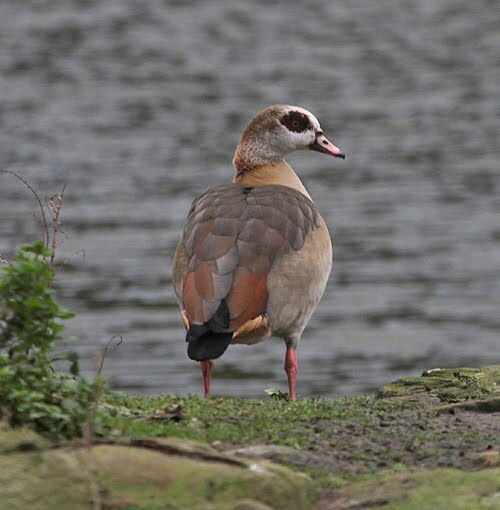 The county boundary effectively cuts the reservoir in two, the northern half being in Lancashire, and more importantly, within the area controlled by Blackburn with Darwen Borough Council. 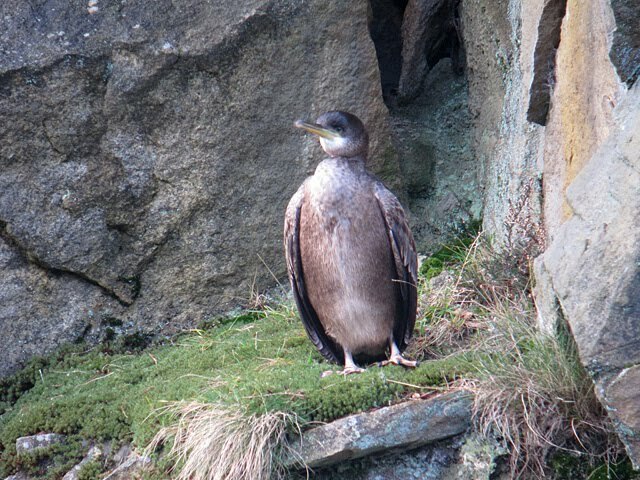 The Shag seemingly shows good taste and favours the Lancashire end, at least whilst I was watching it. 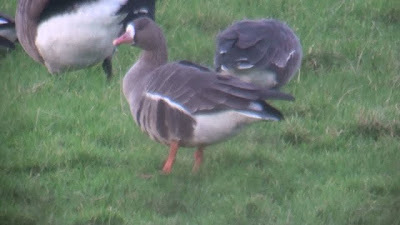 This is only the second record of this species for the Blackburn with Darwen area that I am aware of, the only other previous record coming from Fishmoor Reservoir in Nov 1996. 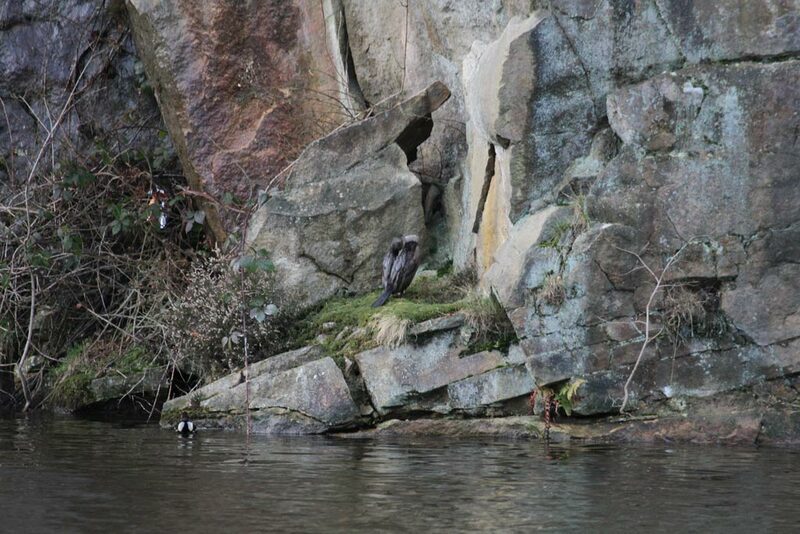 The bird is very confiding at times, and has been showing down to a few feet. 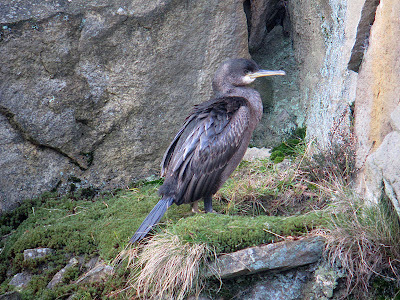 The favoured roosting position during my visit was a small grassy ledge at the base of the rock face on the opposite side of the inflow at the northern end, all too easy to walk past unnoticed. 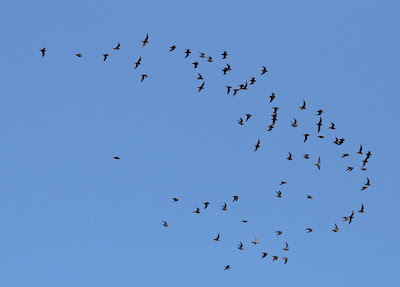 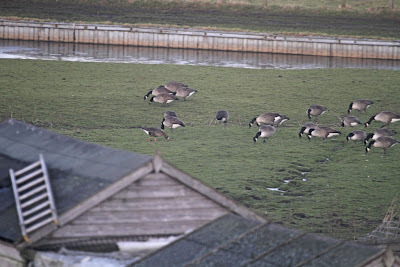 Local birding, East Lancs: Med Gulls, Egyptian & Greenland White-fronted Geese - 16th Jan 2012. First port of call this morning was the local patch, Brockholes Nature Reserve LWT, to see whether the emerging pattern of morning appearances by the unringed Egyptian Goose would continue, and see me finally add this frustrating bird to my site list. 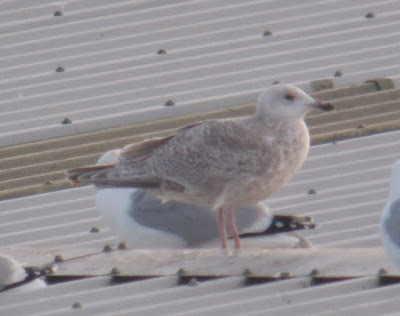 Sure enough, the 'Gypo' was on Meadow Lake, my first local patch tick of 2012. 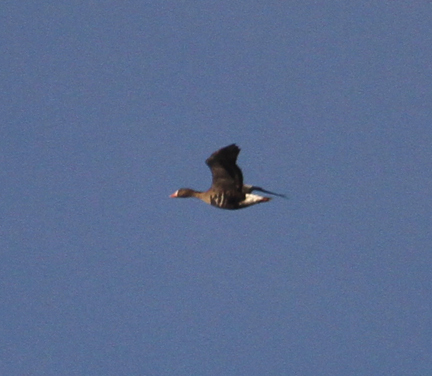 Above: Adult Egyptian Goose - Brockholes NR LWT - 16th Jan 2012. 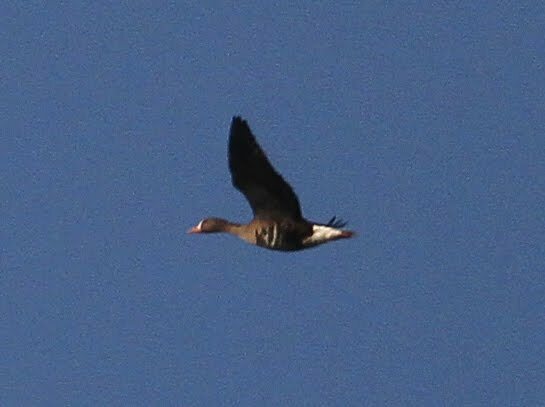 I was also keen to see whether Pink-footed Geese were still on the move in any numbers, but the only flock I saw was c80 > W at 10:48. 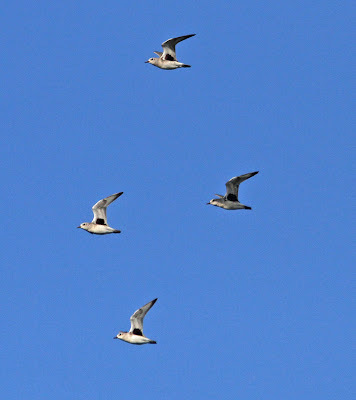 Up to a thousand Black-headed Gull were in the area, and I eventually located an adult Mediterranean Gull amongst a field feeding flock in the fields across the river just NE of the site. 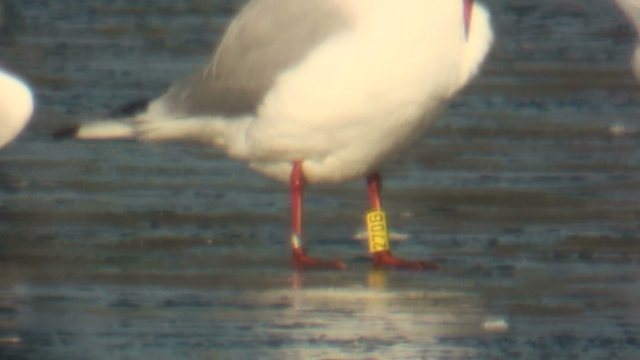 This bird was red darvic ringed on the right leg, but frustratingly there was no chance of clinching the ring details. 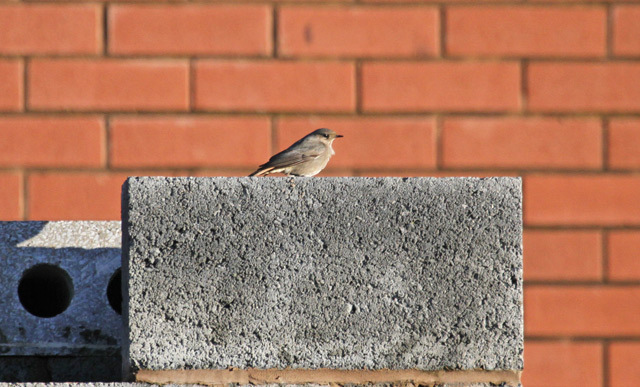 A pair of Stonechat were on Bolton Marsh north. 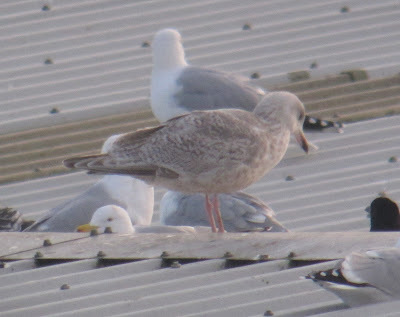 Above: Ad Med Gull, already beginning to acquire summer plumage. 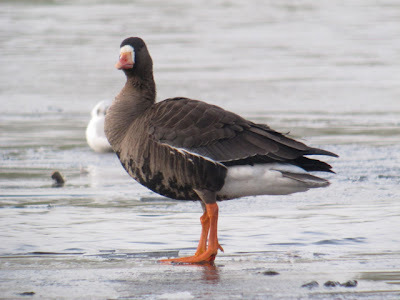 Rishton Reservoir was next on the agenda on the off chance the 6 European & 2 Greenland White-fronts of recent weeks may be present, though they have not been reported for some days now. A Fisherman camped out on the western shoreline was the last thing I wanted to see, though there were still 50 Canada Geese on the water, but nothing with them. 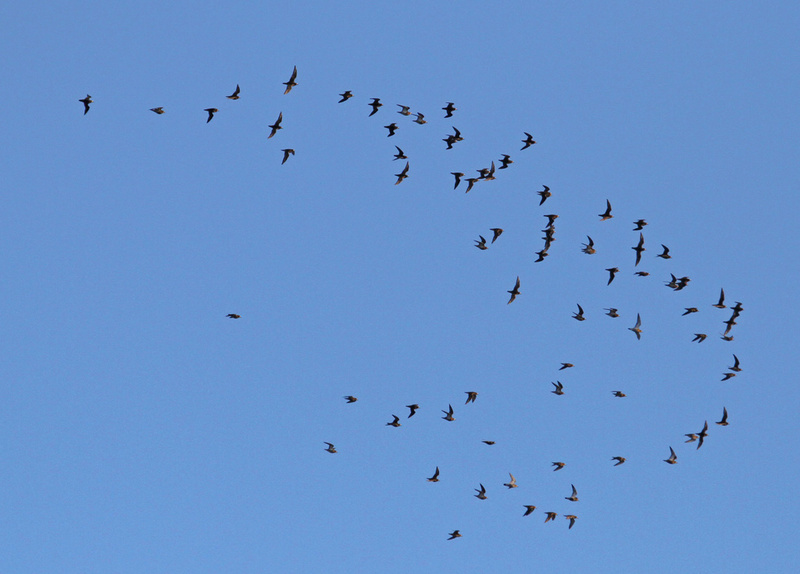 20 Teal were present. 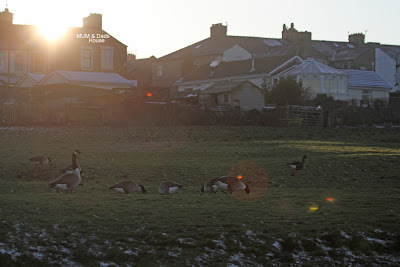 Approaching 13:00, I thought I'd nip from Rishton to the West End Post Office, Oswaldtwistle, where my Dad is the Postmaster and have lunch with them, and whilst there I could also scan a field sometimes frequented by a Canada Goose flock behind their house from an upstairs window. I have been checking the wider area of Rishton/Oswaldtwistle for the mystery location of the White-fronts when not at Rishton Res, and this field was a potential site. c50 Canada Geese were present and too my delight so was an adult Greenland White-front (and 5 Pink-feet). 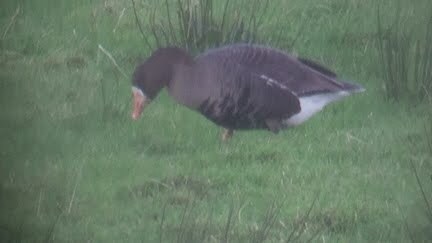 Above & below: Adult Greenland White-fronted Goose, West End Oswaldtwistle - 16th Jan 2012. Above: Greenland White-fronted Goose (right), with my Parents house in background. Below: The Greenland White-front from the left of the two upstairs windows in the photo above. What an excellent house tick! 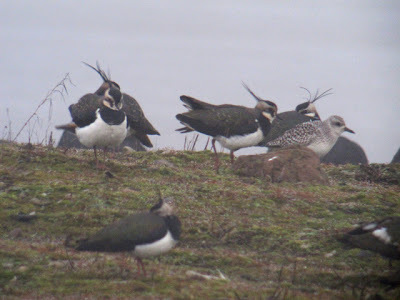 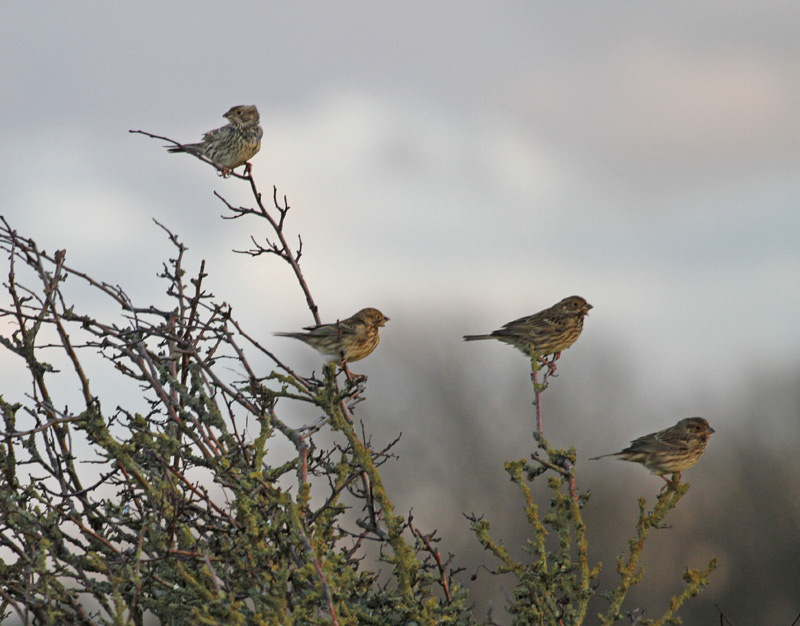 This does raise the question, why have the duo of Greenland birds, inseparable since 1st December, parted company? 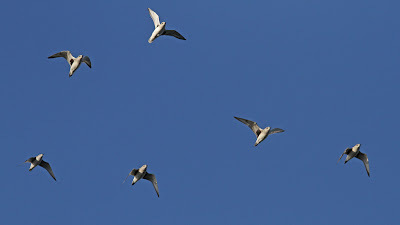 The Fishmoor Res Gull roost was my final destination. A lovely adult Med Gull was the best I could muster, a different bird to that at Brockholes earlier in the day. Local birding: Ad Glaucous Gull, Fishmoor Res, Lancs - 5th Jan 2012. 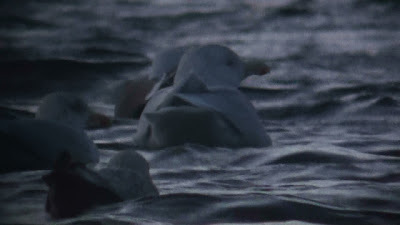 The last two attempts at the Gull roost have been almost futile with truly horrific gale force winds and 'in the face' rain and I have not been able to 'do' the roost anything approaching as thorough as possible. 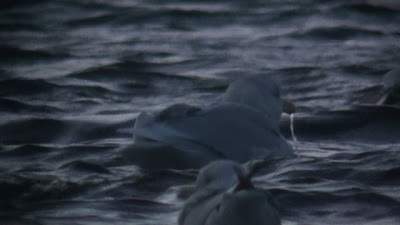 But tonight, in clearing skies and decreasing wind (though still a scope shaking F4-5) I was able to watch from my preferred position on the slope of the west side of adjacent Guide Reservoir where I could keep an eye on both the roosting roof and the water. Downside being that in the North-westerly, the Gulls on the water were back on, but the Gulls on the roof were side-on. 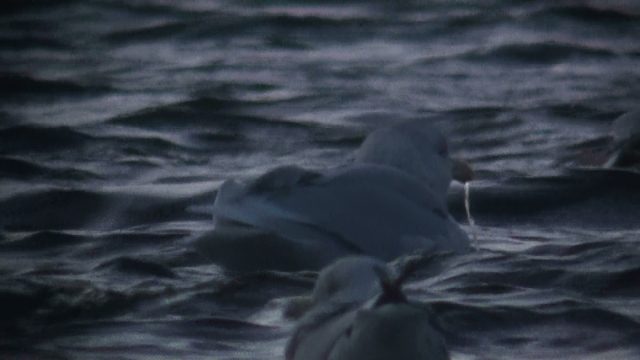 At 16:06, I noticed a magnificent adult Glaucous Gull on the water, such a rare plumage locally. With light fading rapidly, this necessitated a sprint to find a gap in the bank side willow scrub and a better angle from which to attempt a side-on record 'videograb'. 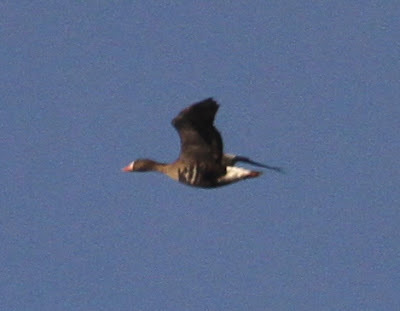 I failed miserably, and in doing so wasted precious light searching for other potential goodies in the roost. 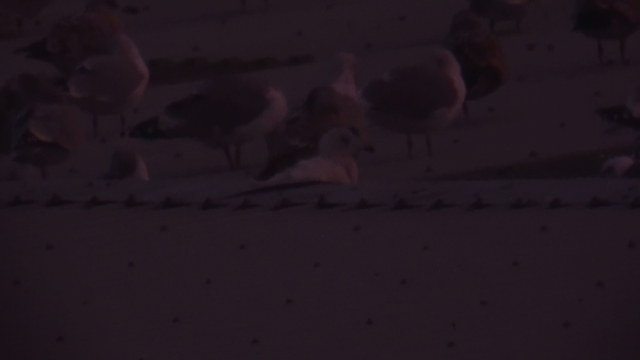 I later relocated the Glaucous on the roof where it showed side-on, but by this time it was 16:32 and the light had almost completely gone. 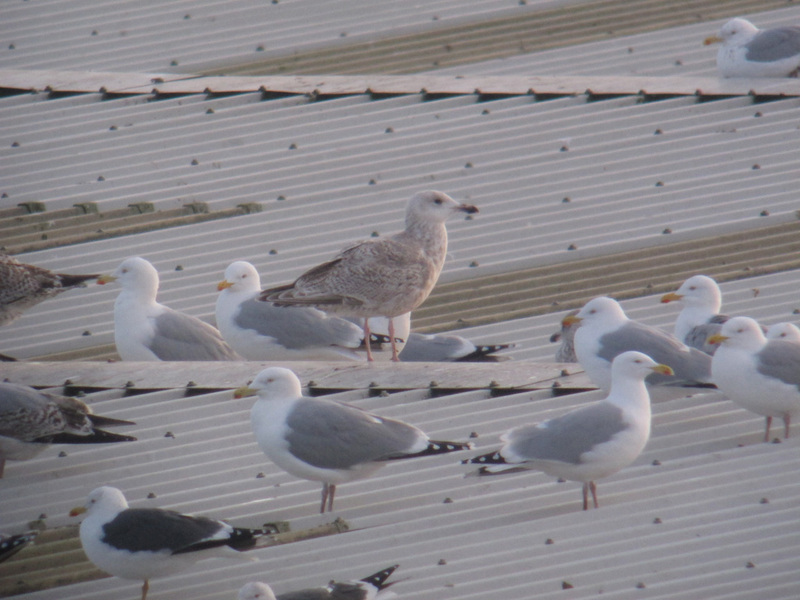 For some reason, there appeared to be many fewer Gulls roosting than noted during the token gesture visits of the past two nights. To try and put this age of Glaucous into a local perspective as best as my seemingly failing memory can recollect, in c22 years of local Gull watching, I doubt if I've seen 5 locally, though with the passing of time I would need to trawl through past reports to be sure. I am fairly sure though that the last recorded adult may well have been as long ago as 1 on 1st Jan 2002, a memorable date when adult Iceland and Ring-billed Gulls also roosted. 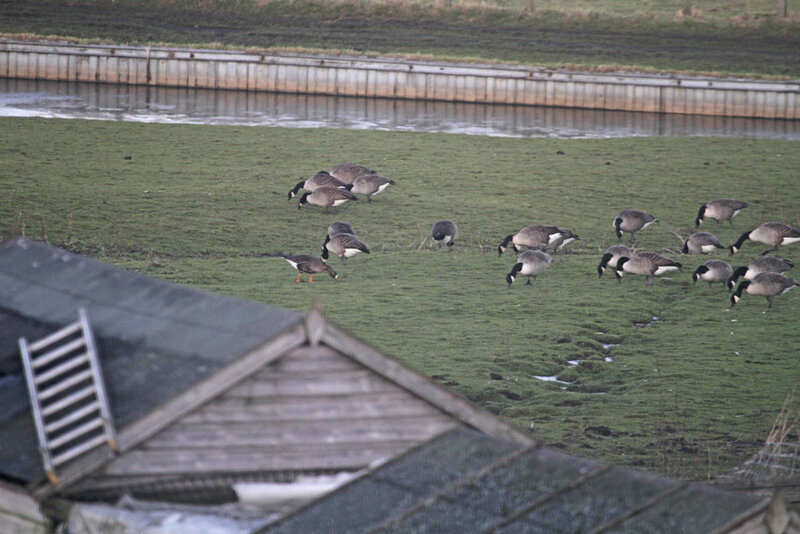 Aside from the Gulls, I spent a couple of hours mid-morning - early afternoon trying to discover where the Canada Goose flock currently containing 2ad Greenland and 6 Eurasian White-fronted Geese are feeding when not at Rishton Reservoir, where they were not present when I checked just after 10:00. 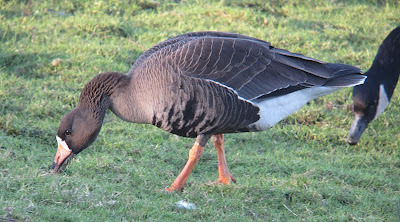 I checked Parsonage Reservoir, where 24 Canada Geese were present on the Dam, the Calder floodplain at Altham (1 Pink-footed Goose and 2 Oystercatcher) and various viewpoints where I could scan the area of green belt between Rishton/Oswaldtwistle/Knuzden, all to no avail, though I could not view the actual 'plateau' of fields in this area, which could potentially be the spot... When I rechecked Rishton Res at 12:30, the whole damned flock of Canada's, including the White-fronts, was present! - The mystery continues! 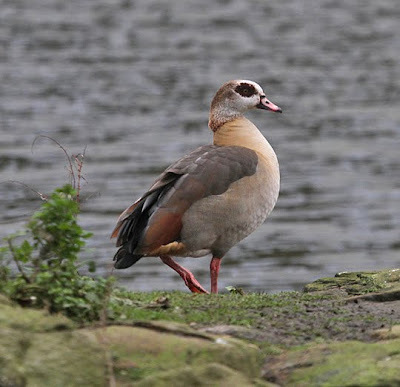 Local birding, Blackburn area: Both races of White-front & Egyptian Goose - 2nd Jan 2012. 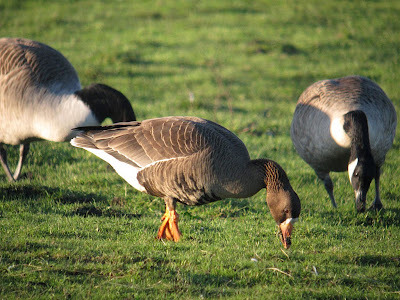 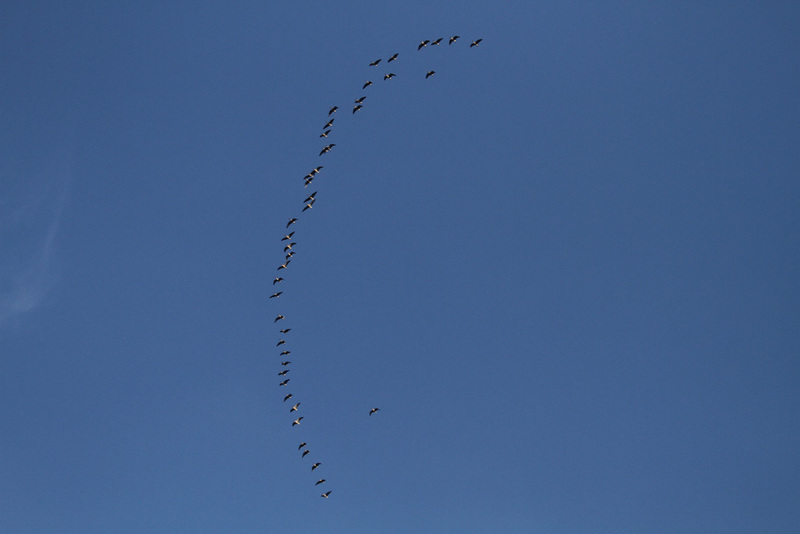 Above: European White-fronted Geese. 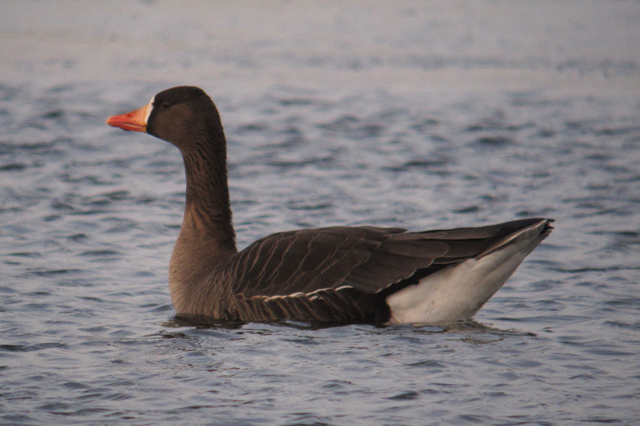 Below: Greenland White-front. 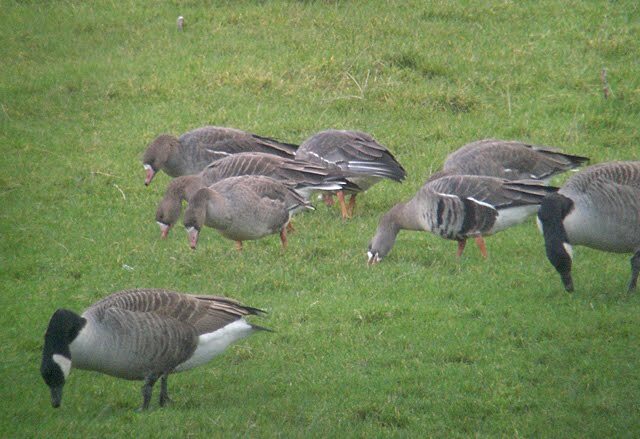 A family party of six (2ad, 4 1stw) European White-fronts have recently joined the Canada Goose flock at Rishton Reservoir, which already holds 2ad Greenland White-fronts for the past few weeks. 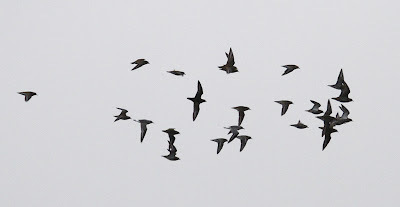 A unique record for the area to have both races together at one site. 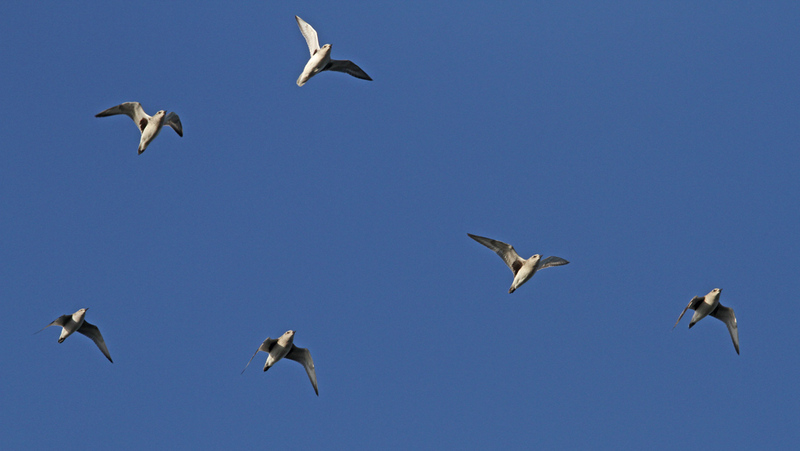 Exquisite birds! 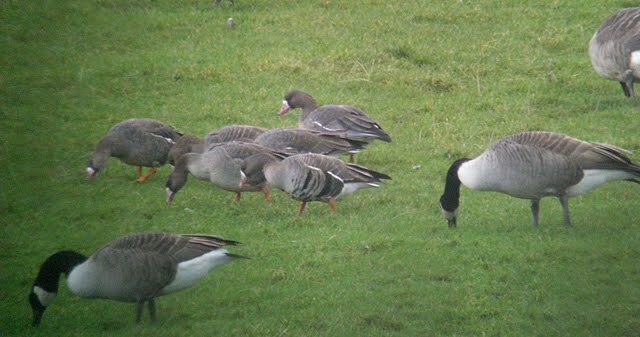 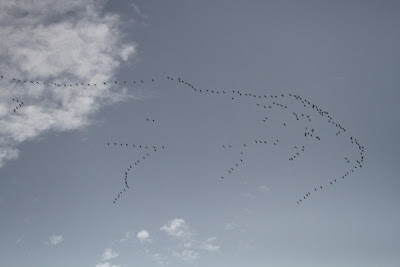 - The Goose flock isn't always present and it is so far not known where they go when not at Rishton Res. Below: Egyptian Goose, Corporation Park Lake, Blackburn - 2nd Jan 2012. 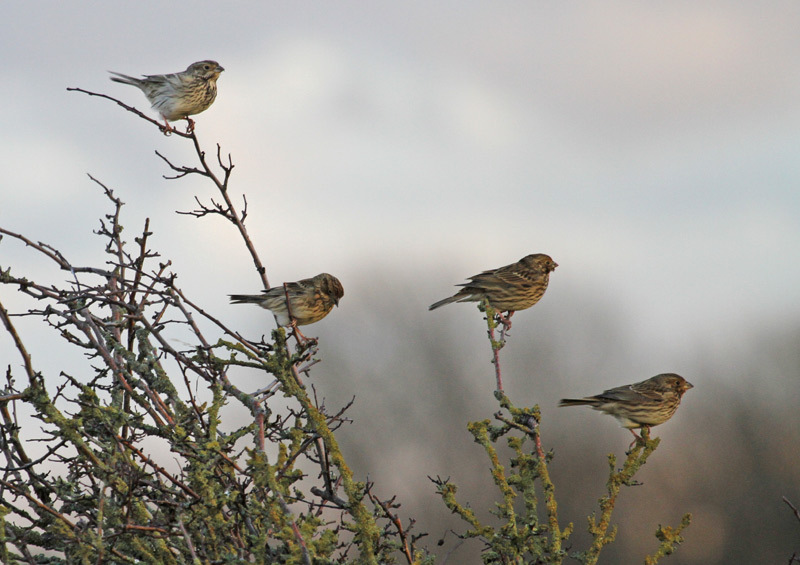 This bird first appeared locally at Brockholes NR LWT in Oct 2011, then at Fishmoor Res on 12th Nov, then Corporation Park Lake between Christmas & New Year where it may have been residing for some time? - Only the second I've ever seen in East Lancs.